The most profound lesson I learned from studying the life of Mother Teresa is about where to find Jesus. The late Mother Teresa often instructed her Missionaries of Charity to go to the dark and narrow places in Kolkata to search for Jesus. “You will find him there,” she said, “in the distressing disguise of the poor.” She was right. Mother Teresa gave her life to looking for Jesus in the distressing disguise of the poor. She served the marginalized and outcasts of Kolkata in the same way Jesus would. She clothed the naked, fed the hungry, cared for the sick, and gave water to the thirsty. To this day, the Missionaries of Charity serving in Kolkata and around the globe continue to do the same. I have a deep respect for those who live and serve among the marginalized. Several years ago, God connected me with Chad Prigmore, a man serving the homeless on Skid Row in Los Angeles. God connected our paths through our respective blogs. Over the years we became friends and exchanged ideas about how to minister to the least of these. Chad eventually moved to Boise, Idaho to launch a new work among the homeless. 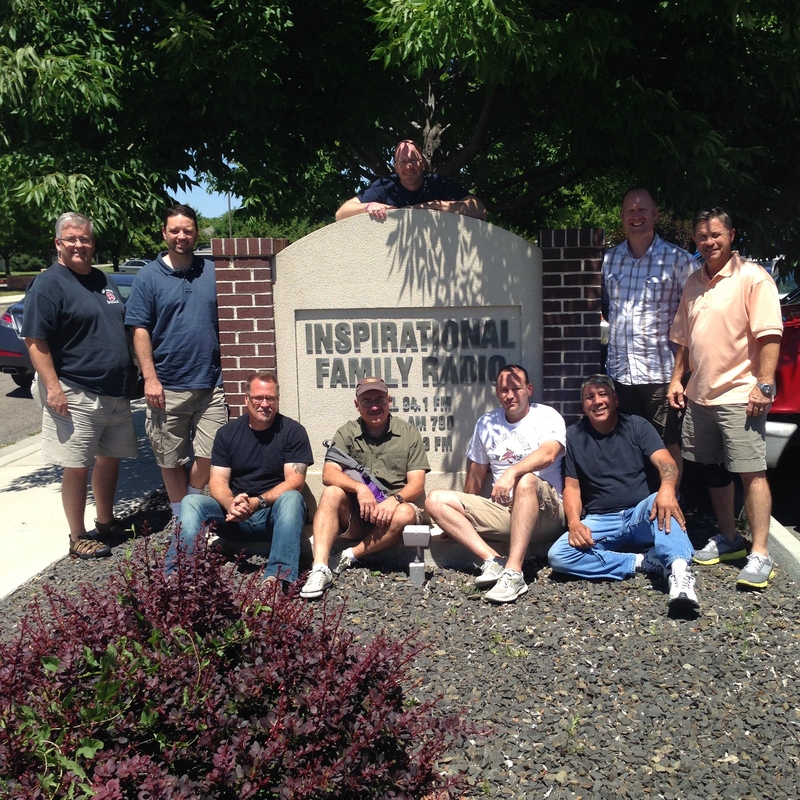 Our team with Chad and Doug at the Inspirational Family Radio studios. Finally, about a year ago, Chad and I met face to face when he came to visit me in Katy. We spent our brief time together visiting the homeless and the poor in the greater Houston area. Yesterday, I flew to Boise with Brian Stone, our Generations Pastor, and men from Gil Harris’ Band of Brothers men’s group. We are here to help Chad and his partner Doug Hardy complete work on a third center for the homeless. Taping The Way Radio program to be broadcast on Saturday evening. 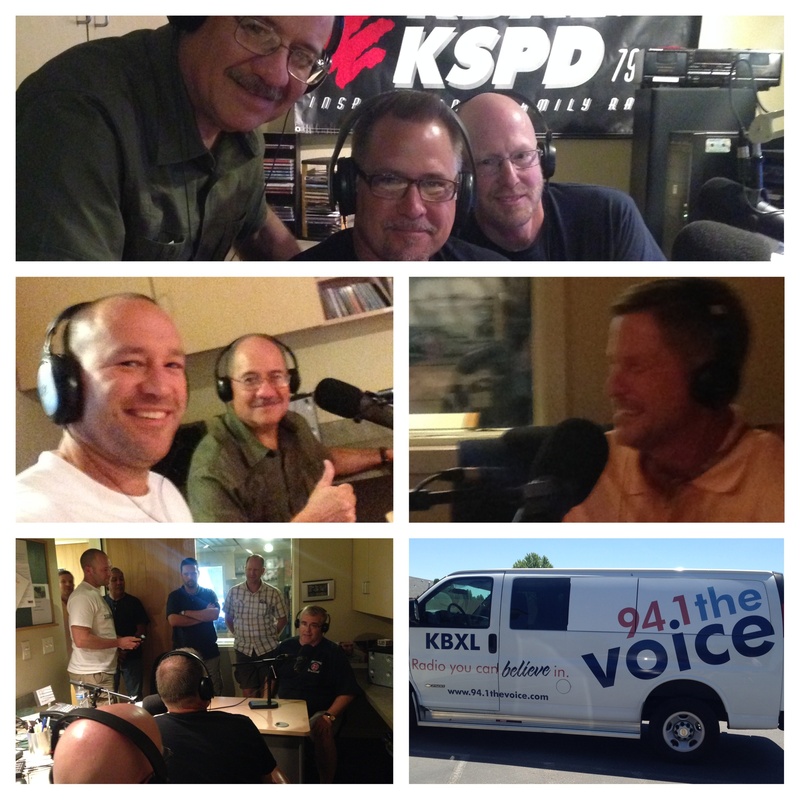 Soon after we landed in Idaho’s beautiful Treasure Valley, Chad and Doug invited us to join them at the studios of Inspirational Family Radio. We had the privilege of sharing the story of how God connected us and why we have come to Boise. All of the men on our team had the opportunity to speak on the radio. What a blessing it was to hear how God is at work in the hearts of Gil Harris and the Kingsland men in his group. 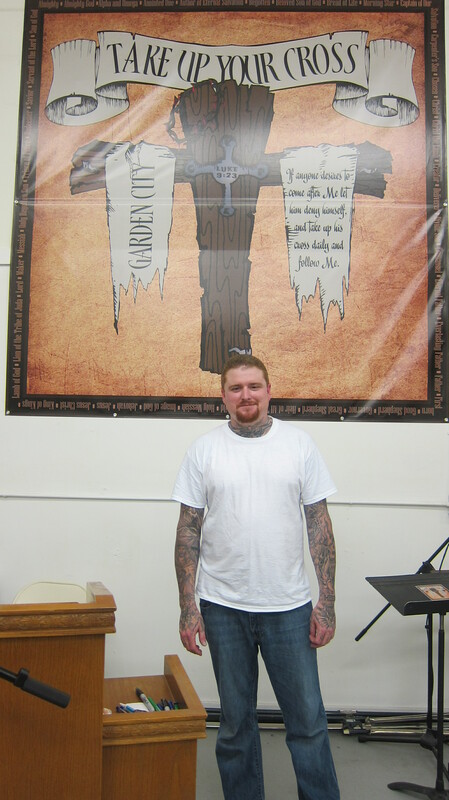 Pastor Steve of Take Up Your Cross Ministries. 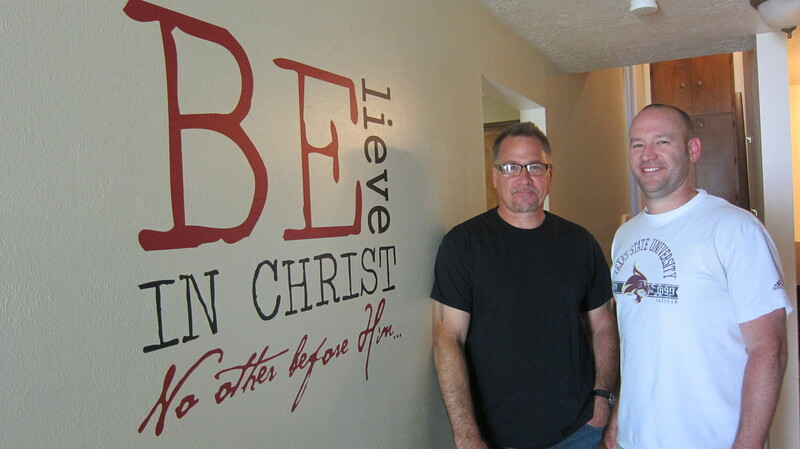 Our team also visited Pastor Steve Vint, one of Chad and Doug’s newest urban ministry partners. For the past three years, Pastor Steve has lived and served in one of the toughest neighborhoods in the greater Boise area. He is reaching a neglected slice of the local population in a place where even angels fear to tread. He is a pastor to the marginalized. And he is making a difference. Mother Teresa would be proud! Chad and Brian at one of The Way ministry homes in Boise. Over the next couple of days we hope to complete much of the work at the new Wymer House ministry center and then dedicate this facility on Friday evening. We have a ton of work to do to prepare this home for more than a dozen men who will live and find hope within its walls. We are grateful to be in Boise to help Chad and Doug with their ministry to those who live in the narrow and ragged margins of society. May God continue to use our partners and friends here to look for Jesus in the distressing disguise of the poor. 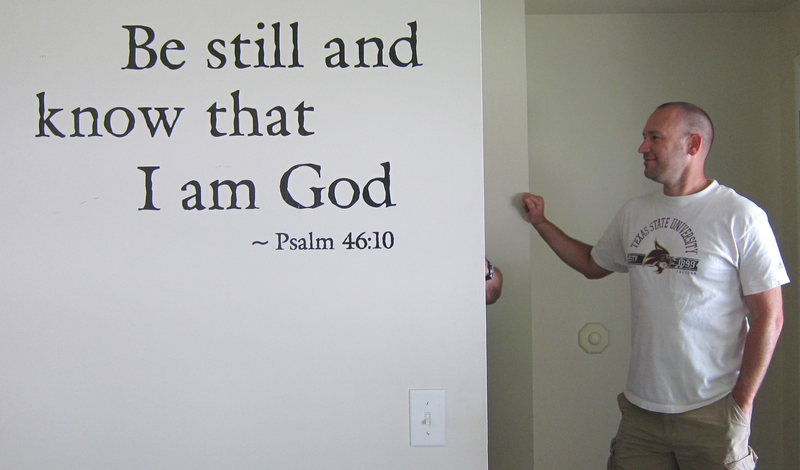 Bible verses adorn the walls of The Way ministry homes. So Good to see you, & reading the posts !! !